Good news for Bob Dylan fans who can't wait for a taste of his next album. Two new songs from the legendary Minnesota native are being tied to the second-season premiere of Cinemax's "Strike Back." "Early Roman Kings" is being used in video promos for the hard-hitting series, starting immediately on HBO and Cinemax. You can also catch the video at cinemax.com. "Scarlet Town" will play over the closing credits after back-to-back airings of the first two episodes, which air from 9 p.m. to 10:30 p.m. on Aug. 17. 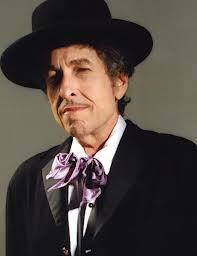 The songs are part of "Tempest," Dylan's 35th studio album, which will be released Sept. 11. "It's an honor for CINEMAX to showcase Bob Dylan's exciting new music in his 50th anniversary year," says HBO Miniseries president Kary Antholis, who also oversees CINEMAX original series.